Great classic fit tee that’s comfortable enough to wear anywhere. 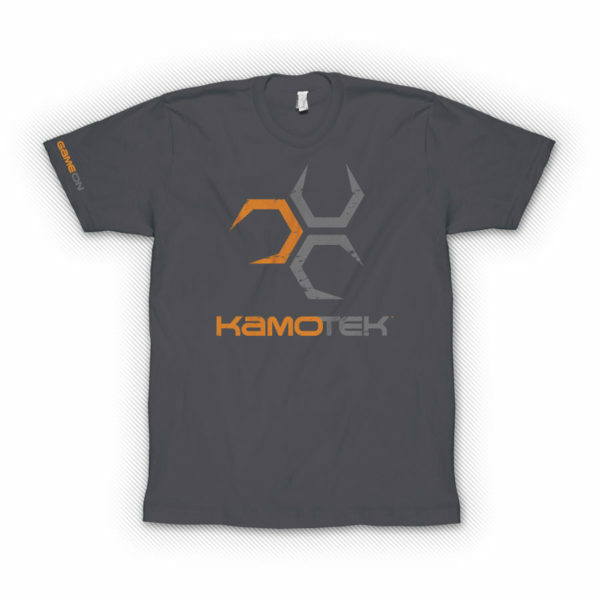 There is screen printing of the KAMOTEK logo with an elk on the front chest and the words “GAME ON” printed on the right sleeve. 100% preshrunk 5.3oz mid weight cotton T-Shirt. This tee is a great wear everywhere t-shirt. Classic cut and style.